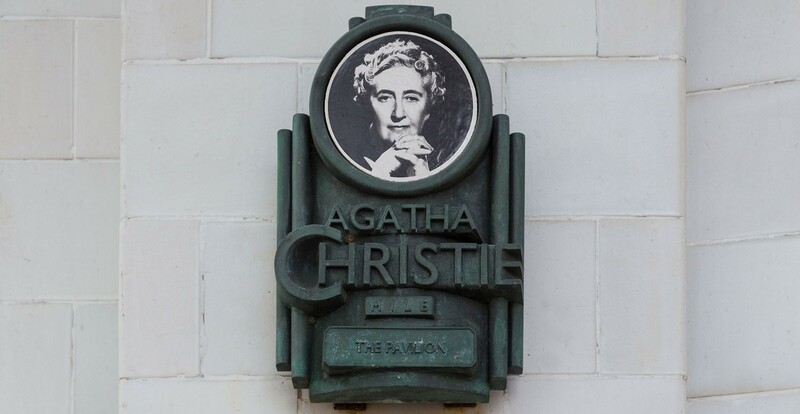 English crime novelist, short-story writer, and playwright Agatha Christie is known for creating classics, such as Murder on the Orient Express, and a cast of beloved characters including Hercule Poirot and Jane Marple. Her rich imagination was no doubt stimulated by what the author herself described as a happy childhood. Christie’s mother, Clara Boehmer, insisted on educating young Agatha at home; she also encouraged her daughter to write. The girl spent her early years immersed in fantasy play, reading voraciously, creating characters, and playing with her pets. She adored her mother and loved to pore over her mother’s ribbons and jewelry. But when Christie was 11, her father, Frederick Alvah Miller, died of a heart attack. The girl was devastated. (In later years, Christie referred to her father’s death as the end of her childhood.) Boehmer was also distraught, but her youngest daughter proved to be a comfort; after her father’s death, Christie is said to have become her mother’s closest companion. Money was tight; sometimes dinner was rice pudding, but together, mother and daughter found a way forward.